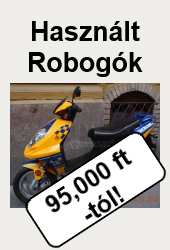 Retro Robog� is the general importer of the AGM Brand scooters to the Hungarian market. Welcome to the website of Retro Robogó kft. Retro Robogó Kft. 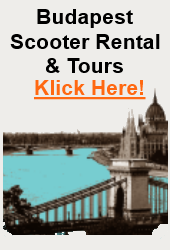 is the general importer of the AGM and Turbho Brand scooters to the Hungarian market. Over 15.000 AGM and Turbho scooters are sold every year on the highly competitive and quality aware Dutch scooter market alone. 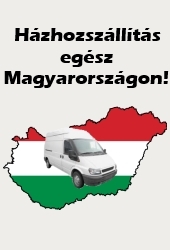 Now Hungary has the chance to discover the AGM and Turbho scooters! With their exclusive style and quality 4-stroke engines the AGM and Turbho scooters are available with a wide range of options. An experienced service team and extensive pre-drive check-up ensures that you will get true value for your money. Please feel free to discover what we have to offer on our website or visit our Budapest Robogo showroom in the Raday Utca 23. If you have any questions or you need any assistance please do not hesitate to call us. All our staff members are fluent in English and German.